Digital Surf’s main focus is on working as a partner and co-developer with surface imaging & metrology instrument manufacturers worldwide. 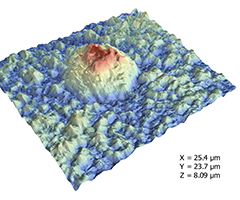 Mountains® 7 software technology is now offered by the majority of profiler and microscope manufacturers and is embedded in their equipment or available as an option. Mountains® has an installed base of 10,000+ licenses worldwide, works in over 10 languages, supports ISO and national metrology standards, and is supplied by 40+ instrument manufacturers wordwide. 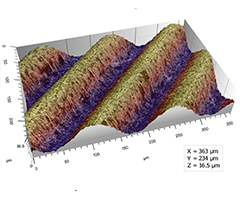 In July 2014, Digital Surf strengthened its market share in the nanotechnology market by taking over the Danish company Image Metrology A/S, editor of SPIP software and world leader in image analysis for scanning probe microscopes. Our banknotes are secured using watermarks, transparent strips, thick ink deposits using intaglio printing, ink with special spectral properties, and other secret anti-forgery protection devices.